My first purchase of Kiehl’s products was actually not for me. It was a bunch of Kiehl’s that I gave as Christmas presents to three ladies whom I consider to be the hardest to buy for in my list last Christmas. Good thing about these purchases is that Kiehl’s store gives out generous samplers. These are the testers packed in small vials and sachets I personally tried for myself. And guess what? I was hooked. It’s not too long ago that I have realized that nobody’s going to take care of my skin but me. Thus, any skin product that will come my way and given to me for free for sure will be applied and tested on my supple young looking skin. 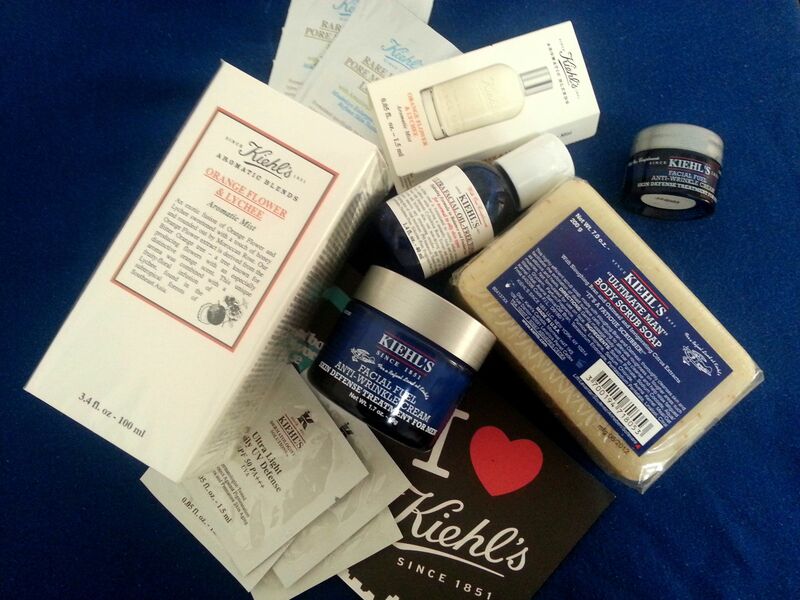 As for Kiehl’s samples, I got a miniscule jar of Facial Fuel Anti Wrinkle Cream; a vial of Orange Flower & Lychee Aromatic Mist; a tiny bar of Ultimate Man Body Scrub Soap; sachets of Ultra Light Daily UV Defense; and, Rare Earth Pore Moisturizing Lotion. The facial fuel which has a light minty feel was perfect. It felt like nourishment is being fed directly on my skin for it is absorbed easily. I know this because finding a good moisturizer for an oily skin like mine and at the same time living in a hot, humid tropical country would be like finding the holy grail. It’s so effective “gusto ko ipalaman sa tinapay”. I love the super texture of the bar soap, it cleans well and doesn’t dry out my skin. The “perfumista” in me was hooked by the scent of the aromatic mist particularly the Orange Flower & Lychee. It is an awesome concoction that I can truly rave about. I have tried numerous scents available in the market but the smell only last for a couple of hours. the aromatic mist can amazingly last the whole day and it sits well with my skin chemistry. However, I have yet to try the moisturizing lotion and the UV defense formula samplers. Pwede bang ihalo na lang sa kape ang mga yan? And since these amazing samplers have run out, I can no longer pretend not to hear my skin screaming to me saying it misses Kiehl’s. 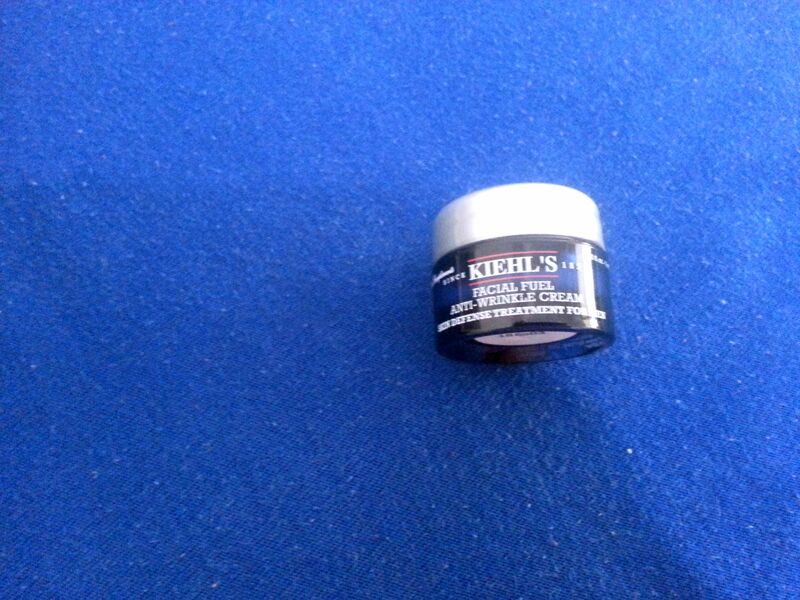 Thus, I purchased Kiehl’s products today which I will be using for myself in the next couple of months. Though Kiehl’s here in the Philippines is quite pricey I am nevertheless convinced that they got some awesome merchandise. Walang ibang mag-aalaga ng balat mo kundi ang sarili mo. Tapos! ← My Wish for the Year 2013? Spell It!